Even though it will be a few months yet until Meghan Markle gives birth to her first child with Prince Harry, everyone is already abuzz with speculation about who the royal couple will name as the baby’s godparents. 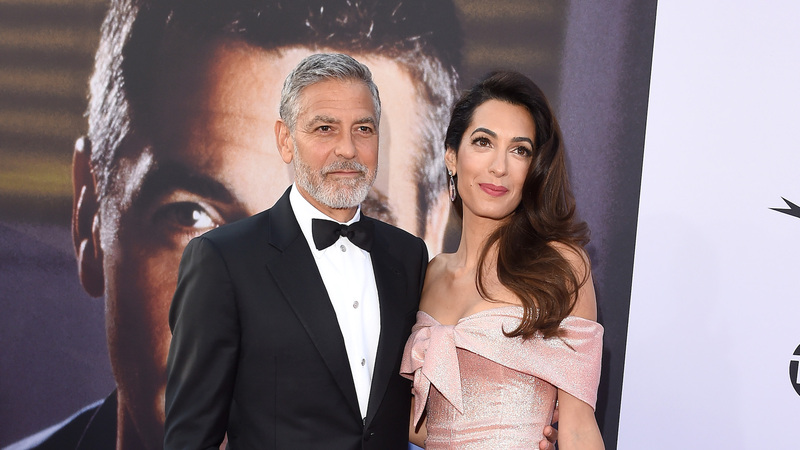 Rumored to be at the head of the pack of nominees are George and Amal Clooney, according to reports such as the Daily Mail’s, in which multiple unnamed sources claim that George is “a shoo-in.” Honestly, though, these two are a choice that actually makes sense. In May, the Clooneys traveled to Windsor Castle for Meghan and Harry’s royal nuptials, not because celebrity power is a must at a royal wedding but because Meghan and Amal have been close for some time. That’s not surprising, given that Amal is a British human rights lawyer and Meghan has proven time and time again that she’s deeply dedicated to human rights causes. Meghan and Prince Harry are reportedly expected to attend a dinner party at the Clooneys’ London home in December, alongside other big names including Barack and Michelle Obama. Have we mentioned recently that we’re jealous of all these people’s lives? We are. We’re also waiting with bated breath to see whether or not the Clooneys will really be named royal godparents.